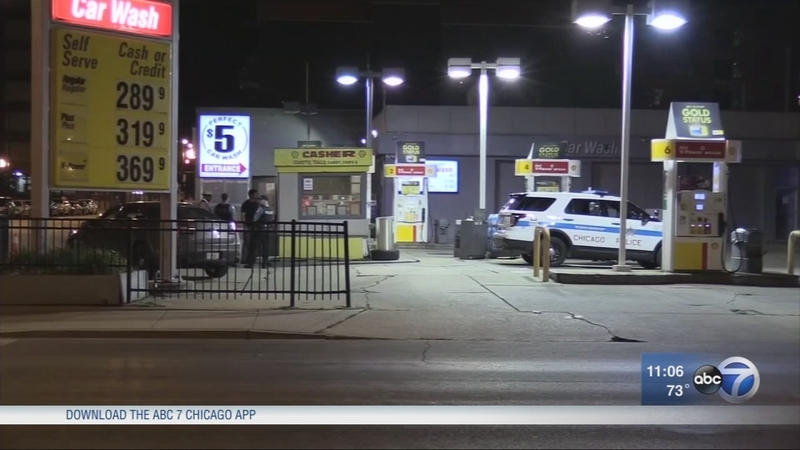 CHICAGO (WLS) -- Chicago police have charged a 17-year-old boy in connection with the theft of an FBI agent's car from a gas station early Monday morning. The juvenile was arrested around 10:15 a.m. on Tuesday morning in the 5000 block of West Washington and charged with one felony count of vehicular hijacking, one felony count of aggravated battery of a government employee and one felony count of unlawful possession of a stolen vehicle. Chicago police say an FBI agent's vehicle, which was stolen early Monday on Chicago's Near West Side, had been recovered. The vehicle was taken with several firearms and tactical gear inside of it. It was not clear if those weapons were recovered, but the FBI said in a statement Tuesday that the vehicle and its contents would be processed. The theft happened at a gas station near Morgan Street and Jackson Boulevard at about 1 a.m., Chicago police said. Police said a 32-year-old man left his white Chevy Equinox running at the gas station when a male suspect entered the car and took off. The FBI confirmed that the vehicle belonged to an agent and had several firearms inside as well as tactical gear and a ballistic vest. The vehicle was last seen heading east on Van Buren Street. Filling up Monday, Meiku Huang, a member of the West Loop Neighborhood Association, said he is concerned that as a result of this car theft more guns are on Chicago's streets. "I used to feel very safe. I have a dog and I walk my dog late at night and I always felt safe. Now I have to ask myself, now I have to look over my shoulder. I don't know if I like that," he said. The Shell Gas Station has several surveillance cameras, so it is possible that the incident was caught on camera.